Consisting of iron, selenium, potassium, manganese, chromium, and moderate amounts of other minerals and vitamins, catnip is better known for its favor in the feline world. Humans can benefit from nutrient-rich catnip, as well. It provides advantages to the nervous system and may also strengthen the immune system. 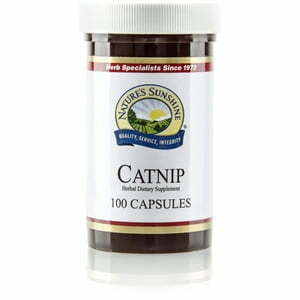 Each Nature’s Sunshine Catnip capsule is 300 mg.